We were able to work in a design feature that David has long dreamed about—a room with white board (marker board) walls! It is fun to be able to sketch out ideas directly on our walls! 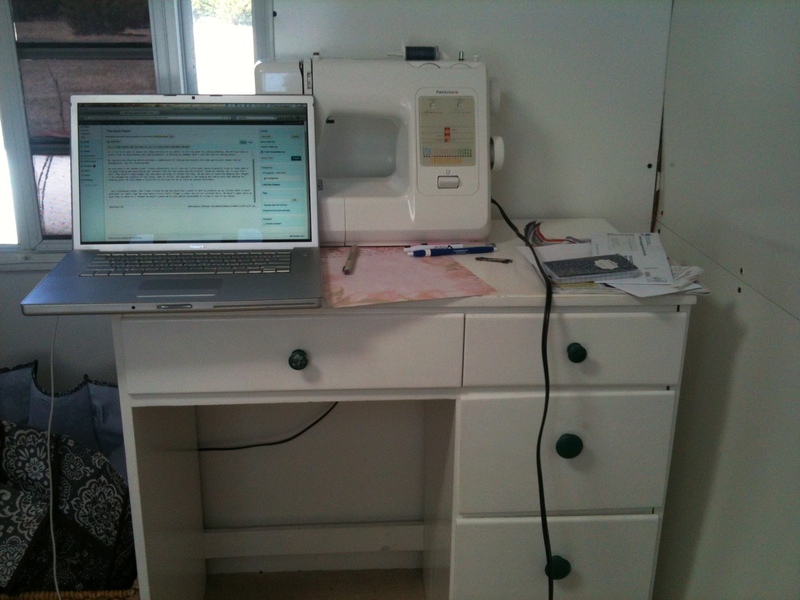 It will be great for sewing scheming, and writing notes to myself, such as measurements and seam allowances, or helping me remember what I did last with my sewing project. We replaced the flooring (which had been a combination of linoleum and carpet) with some gently-used carpet from my grandparents. Yay for re-purposing! 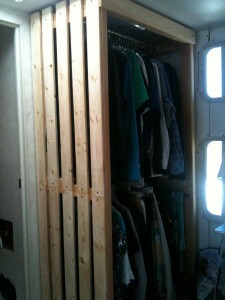 We even have a new “wooden crate” closet—custom-built to fit into our little room. 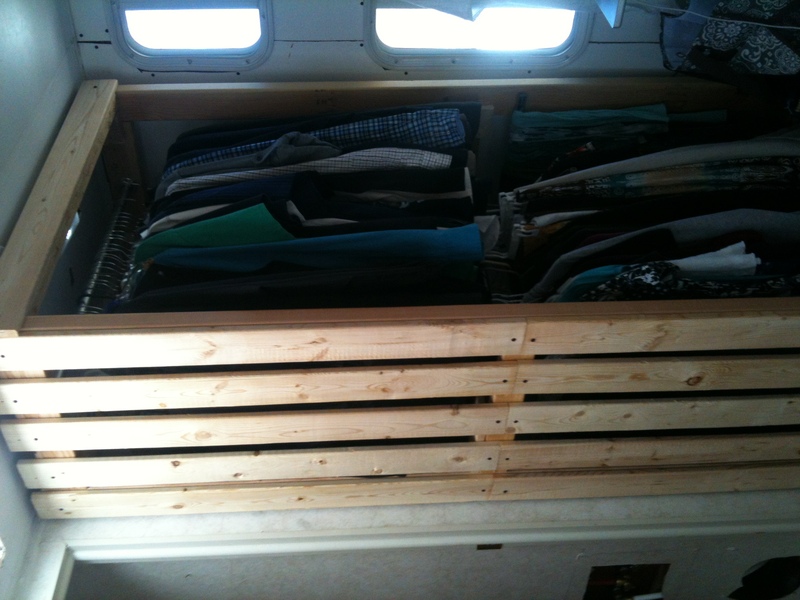 David originally tried to reuse some of the wood framing and paneling we had leftover from the four bunks and the original closet we removed, but it just didn’t work. They weren’t long enough, and they were too wide, or things like that. He was able to reuse the hanging rod, though! We changed the location of the closet, made it taller, and upgraded to two hanging bars—which more than doubled our hanging space! He even added a little bar on the side for me to store my scarves and wraps! This room went from being the most crowded room in the house to the brightest and most roomy. It’s wonderful! Now I have a place to sew and David has a place to work on projects so our kitchen table is more available for meals. Yay! We even have a little “milk” fridge in there for all our cultured dairy. I haven’t spent quite as much time in there as I thought I would—at least not yet. I guess we’ve just gotten accustomed to living in less of our house and working on things in the kitchen. For me, staying in the kitchen is a good excuse to be closer to David.